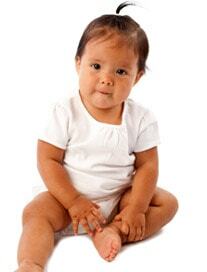 Do an online search for newborn advice and you’ll find a lot of articles that address the mom. Dad’s are important too! Northpoint Pediatrics, an Indianapolis group with offices in Indianapolis and Noblesville has three tips for new dads as they get to know and love their newborn baby. 1. Hold the baby often. It’s not true that holding a newborn a lot will spoil them. It won’t! Your baby needs your love and close attention. Whether the baby is crying, sleeping or gazing about in wonder, pick him up and hold him. Hold your baby close, let baby know that they are secure and loved. If you haven’t been around many babies, it may feel slightly foreign to pick up and cuddle your baby - but it won’t take long before it feels completely natural and comfortable for you both. Sometimes new dads feel a bit like a third wheel. Mom and baby typically have an instant bond and the dad is left to the side trying to figure out where to fit in. You are important to that newborn and there are plenty of ways for you to get involved from day one. Give baths. Change diapers. Sing songs. Put your baby to bed at night. Establish your own special rituals with your newborn and look for ways to keep those special moments as your child grows - you and your child will both benefit. If your partner is breastfeeding, support her efforts. Breastfeeding isn’t always easy and knowing that she has your encouragement and support can make a big difference. You can also bring the baby to mom for feedings and take the baby after for burping and snuggling. If you are bottle feeding your baby, split those late night feedings with your partner so you can each get a bit more sleep. The American Academy of Pediatrics has more great advice for new dads in this article: A special message to new dads. 3. Baby gear for the new dad. 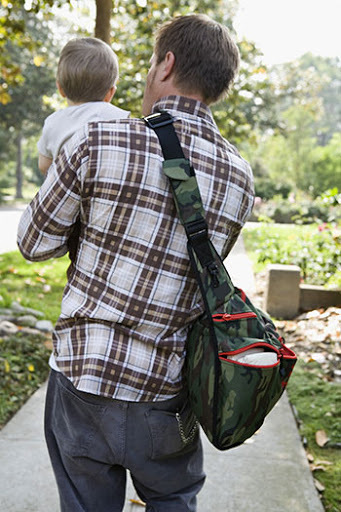 Diaper bag: many bags are now made just for Dads to feel more comfortable carrying - some are actually backpacks! A functional bag with lots of pockets for diapering supplies, changes of clothes, blankets and other things you’ll need when you’re on the go. A comfortable stroller: We don’t just mean comfortable for the baby. Dads tend to be taller than moms, when possible “test drive” a stroller in a store to make sure the handle is tall enough and wide enough for both parents to use comfortably. A good baby bathtub: Bathing is often one of dad’s favorite times with kids. Check out soft baby bathtubs that make it easier and safer to bathe your baby. Many of them even come with indicators to help you make sure the water is the right temperature. One more tip: get to know your pediatrician. At Northpoint Pediatrics we love getting to know babies and their parents. We encourage both mom and dad to come to our office before the baby is born for a free get acquainted visit. Ask questions, learn how the office works, choose your pediatrician and pre-register your baby! Schedule your get acquainted visit now.